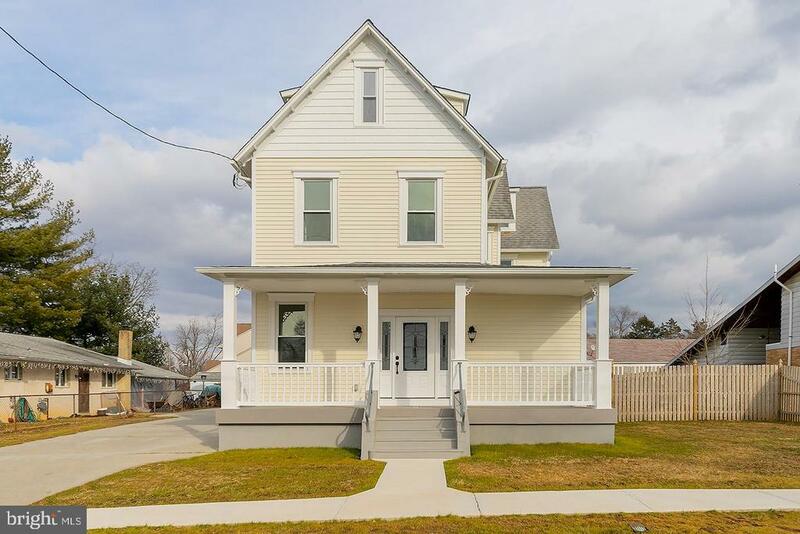 All Gloucester Twp homes currently listed for sale in Gloucester Twp as of 04/20/2019 are shown below. You can change the search criteria at any time by pressing the 'Change Search' button below. If you have any questions or you would like more information about any Gloucester Twp homes for sale or other Gloucester Twp real estate, please contact us and one of our knowledgeable Gloucester Twp REALTORS® would be pleased to assist you. "Welcome Home to desirable Cobblestone Farms development. 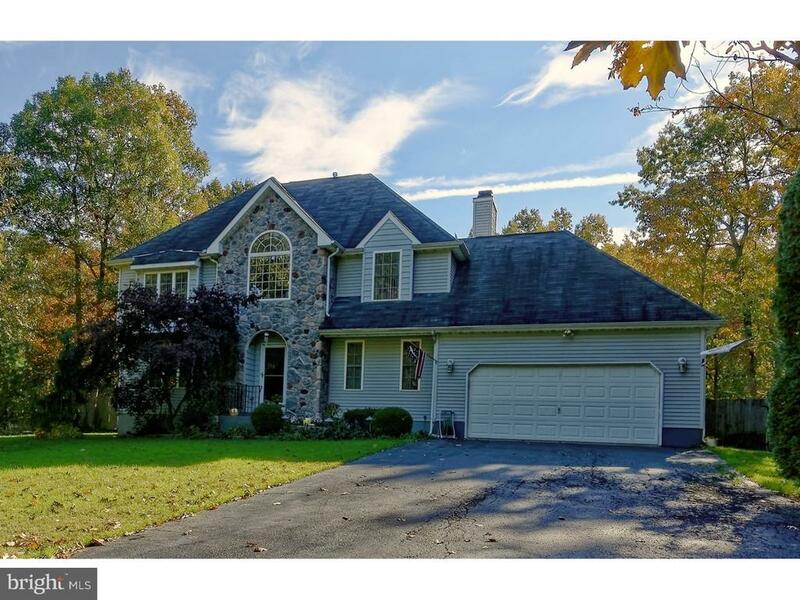 This stately four bedroom home is situated on a quiet cut de sac overlooking woods. All you will need here are your beongings ! Curb appeal is immediately evident here with freshly manicured lawn and paver walkways. Come inside and you're greeted by a two story foyer offering gorgeous hardwood flooring and an abundance of natural light. Off to your left is the formal living room which is open and spacious. Continue off the formal living room into the generously sized dining room for family gatherings. The back of the home features an open floor plan. Here you will find the large family. The triple glass doors offer beautiful views professionally landscaped fenced in yard! That's not all, this yard is equipped with an unground grill and bar built with pavers, play set and spacious patio for entertaining. The triple glass doors offer beautiful views of the backyard. The massive kitchen offers an abundance of storage thanks to a large pantry and multitude of 42 cabinetry accented by granite countertops, tile backsplash and stainless appliances. Center island offers added storage and work space while the charming eat-in area. Desk area for added convenience during homework time or bill paying! Rounding out the first floor is the powder room, laundry room and garage access. Upstairs you will find four generous sized bedrooms. The master suite with vaulted ceilings, huge walk in closet, and private bath is sure to be a grand retreat. The master bath has vaulted ceilings to keep the flow from masted bedroom in addition to double vanity, tile flooring, soaking tub, and separate stall shower. The three other bedrooms are all generously sized with ample closet space as well. The hall bathroom is local to all bedrooms and includes double vanity. Up next is the basement. Down here there is additional living space that can be used for whatever suits your needs. Easy access to major roadways such as AC Expressway, 42, 322"
"Fabulous stone front home that sits on 1.33 acres in the woods with a rear access road! Open concept living from the foyer through to the kitchen and den with stone surround gas fireplace, hardwood floors. A large kitchen that features maple cabinets, corian counters, double sink, stainless appliances and an island as well as a breakfast nook. Beautiful sunroom with glare resistant windows and a sunken hot tub! The master bedroom features cathedral ceilings an abundance of closets , an en-suite bath with corner jacuzzi tub, tile shower surround and floors, double sink. Generously sized 2 and 3rd bedrooms both with-in closets. In addition you will find a finished basement with storage and laundry areas. The home boasts a newer 3 zone hvac system (2017), Water Htr (2014), above ground pool, 2 ponds with/Japanese fish, 1/2 b-ball court, full pull down attic, all this topped off with a fenced in yard, full sprinkler system,2 car single door garage w/opener!!" "Beautiful Home....BRING OFFERS!!! MOTIVATED SELLER!!! This three story classic colonial has been professionally renovated from top to bottom. The contractor used all quality materials to bring this property back to life in a stunning fashion. The new front porch is very inviting and comfortable and is made of new trek lumber and accented with vinyl railings. Enter the home thru a premium lead glass door and a stunning open floor plan with 9 foot ceilings greets you. New custom paint and hardwood floors give the room a bright, soft atmosphere as it transcends into the kitchen and dining area. The kitchen offers recess lighting, brush nickel fixtures and all new stainless steel appliances. New custom paneled cabinets and granite countertops offer plenty of storage space. The subway tile backsplash is another added feature that makes this room pop. A center isle cabinet separates the kitchen from the dining area and leads to a sunroom with a separate entrance to a side deck. In addition the first floor has a carpeted office/den with a full bathroom. The laundry room is located off the side entrance foyer. The second floor has three carpeted bedrooms and two full sized bathrooms. Note: all bathrooms have been completely and tastefully renovated with new flooring, sinks/showers and new granite top cabinets. The master bedroom is newly carpeted with a full bathroom. The third floor completely finished and carpeted and offers the owner many different options. The attic is divided into four separate rooms. These could be used as a bedroom with adjoining dressing room and the other two rooms could be used as a bedroom/study. The full basement contains a new water heater, heater/AC and electric upgraded to a 200 amp service. 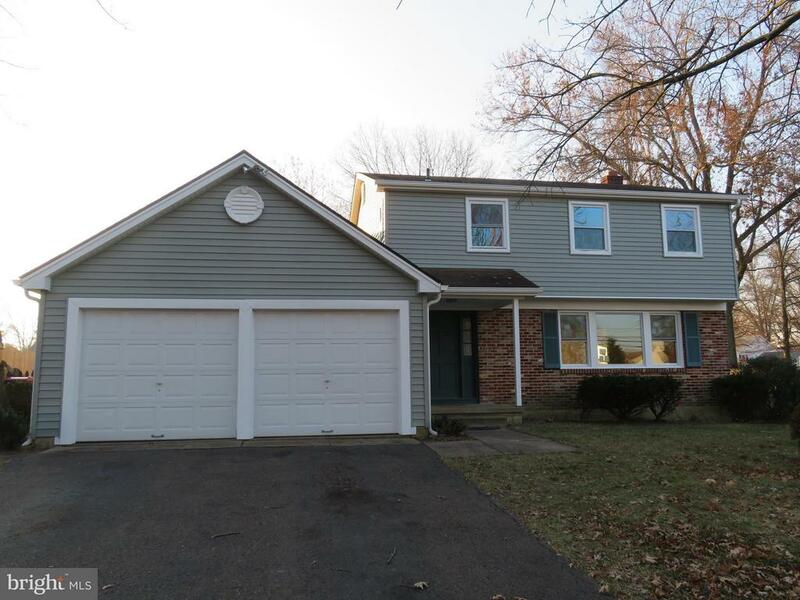 This Spacious and Stunning Gloucester Township Beauty is the Best Buy in Town!!!" "New Construction. Taxes are estimated.Foundation is set. Framing to start the week of 4/15. Floor Plan Attached. Hope to have home completed by end of July, 2019. Pictures are from a similar model that have some upgrades. Still time to choose colors and upgrades. Contact agent for any questions." "Beautiful 4 Bedroom Home in Glen Oaks! So many Upgrades! Bamboo Floor in Foyer! LARGE Eat-IN Chef's Kitchen with Custom Cabinets, GRANITE Counters, Glass Back Splash, Stainless Steel Appliances, Chef's Stove with Pot Filler with an Awesome view of your Backyard Oasis! Recessed Lighting and Ceiling fans throughout Main Floor! Brick Wood Burning Fireplace in Family Room! Upgraded Bathroom, Kitchen, Hot Water htr (2 yrs) Hvac and all windows ( 6 yrs). Let's talk about the Yard! Gorgeous 2,500 sq ft of Paver out back! With custom Shaped IN-GROUND-POOL! Newer Concrete and River Rock! Fenced Yard...Wired for Sound! Entertain or Relax! Take a Look! This one will go fast! Being Sold As-Is Buyer is responsible for any repairs and twp Certs." 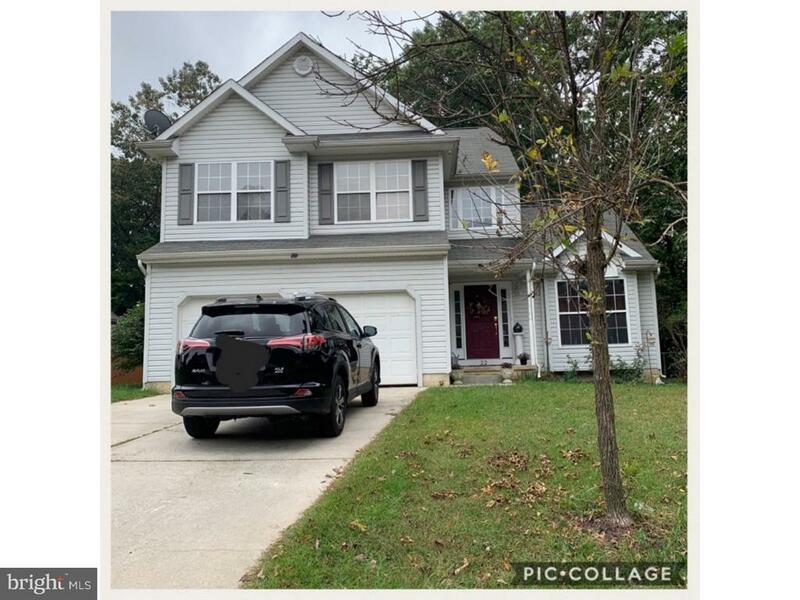 "Come See this Original Owner well maintained three bedroom, two and a half bath Townhome located in The Links section of Valleybrook. Features Open Floor Plan, Large Living Room, Dining Room, Kitchen and Family Room, Gas heat and Central Air. Enjoy the Large Rear Patio with beautiful views, One Car attached garage with door opener plus large parking area. !!! New Roof has been Installed !!!" "NEW SIDING, NEW WINDOWS, NEW GUTTERS, NEW GAS HVAC! 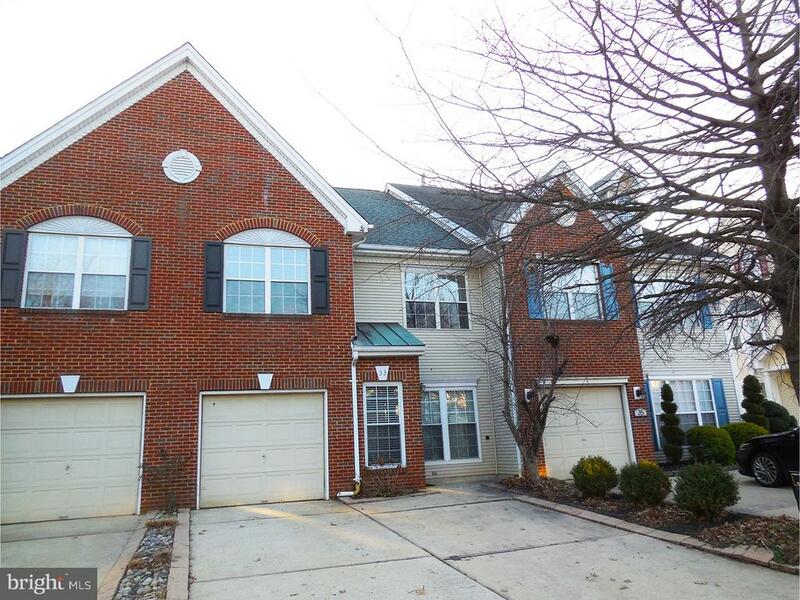 Large 4 bedroom 2.5 bath Colonial located in the Broadmoor section of Gloucester Township. Upon entrance to the right is your formal Living room with dining room just steps away. Your large eat-in kitchen overlooks the Gathering room with wood burning fireplace. Upstairs features a large master bedroom with its own full bath and double closets. 3 additional generous sized bedrooms and full bath round out the 2nd floor. Home also features a large unfinished basement and 2 car-garage which is great for storage. Home was recently painted and has newer carpeting. Schedule your appointment TODAY!" 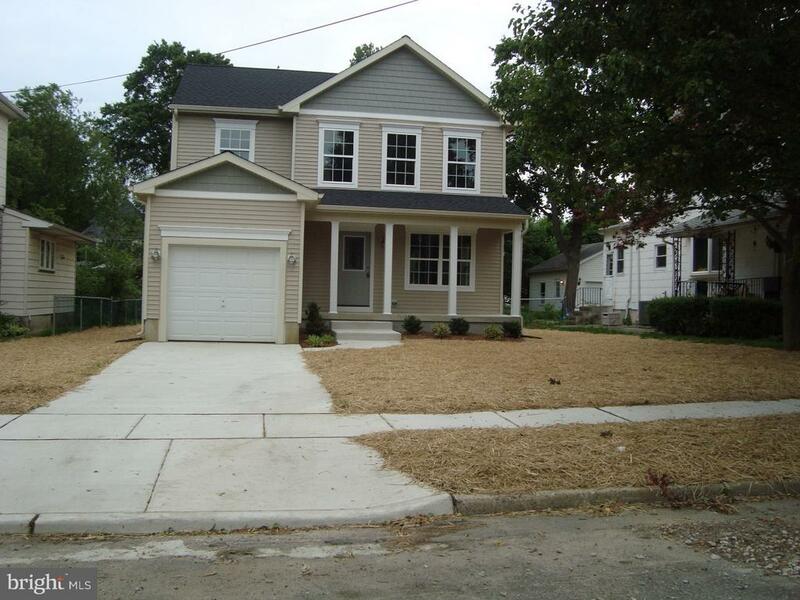 "Gorgeous completely renovated 3 bedroom 2.5 bath home on the end of a quiet cul-de-sac. You will be welcomed by a grand entrance with a spacious foyer,and cathedral ceilings. This home contains an abundance of space for wonderful living. Fabulous kitchen adorned with granite counter tops and a new and stainless steel appliance package. New hardwood flooring and fresh carpeting throughout. Partially finished basement adds additional living space beautiful backyard for entertaining. This home is located close to major highways for quick access to shopping the city and the shore!" "3 Bedroom RANCHER in Glen Oaks! Living Room, Dining Room, Hardwood and Laminate Flooring! ALL NEW APPLIANCES. Plenty of Storage in Pull Down Attic that runs the length of the house! 1 Car attached Garage. Furnace 2006. Relax and Enjoy Amazing 40 X 18 Foot INGROUND POOL! Liner only 2 years old with Maintenance Free DECK! Brand new AC unit !" 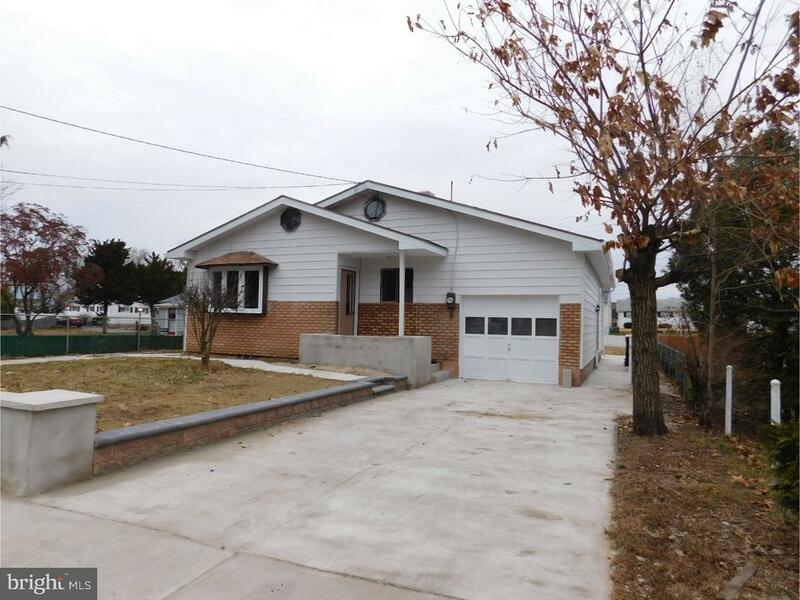 "Move-in ready 4 bedrooms 3 full bath rancher has new kitchen white cabinets, Remodeled bathrooms, stainless steel appliances, tile flooring and granite counters. Home is freshly painted throughout in neutral colors with new carpet. Home has replaced windows, double driveway. Lower level has a walkout door to the backyard along with another bedroom with a full bath, great for an inlaw suite. Great large family room and over sized laundry area." 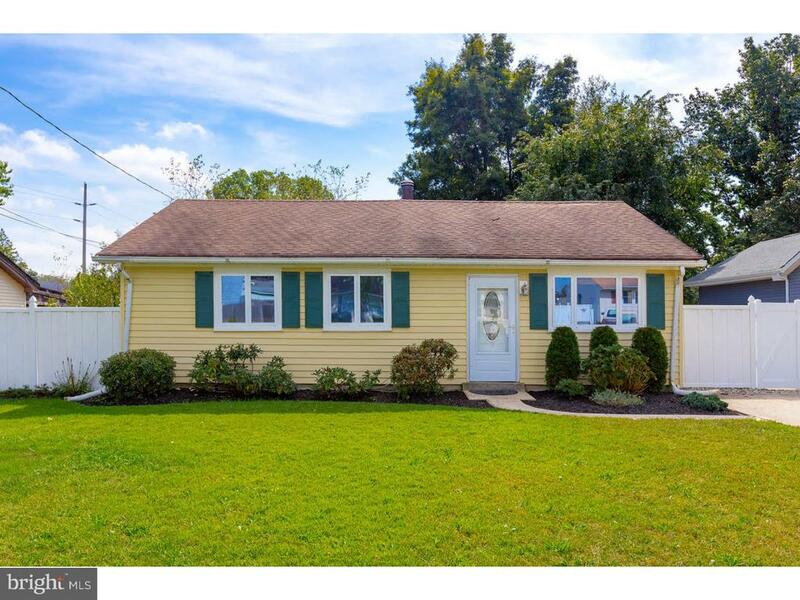 "PERFECT STARTER home for you.... adorable and affordable explains this 3 bedroom rancher that has been freshly painted with NEW carpets and laminated wood floors, UPDATED BATHROOM, NEWER windows and NEW HOTWATER HEATER in 2017. Attic pull down access has been updated in 2017 with new stairs that leads into plenty of attic storage spaces. Recessed lighting throughout home and lights inside closets bedroom closets. NEWER French door in kitchen. Heater has been on a yearly service agreement. Close to all major arteries for commute and shopping. Don't delay schedule today!!" "Price of $130,000 is approved by the bank for short sale!! Quick closing possible."